Now available on Amazon as an e-book and in paperback – “Love at Sunset! A gripping romantic suspense! Set in The Bahamas and Scotland, with scenes in London, Devon, Fort Lauderdale and New York. 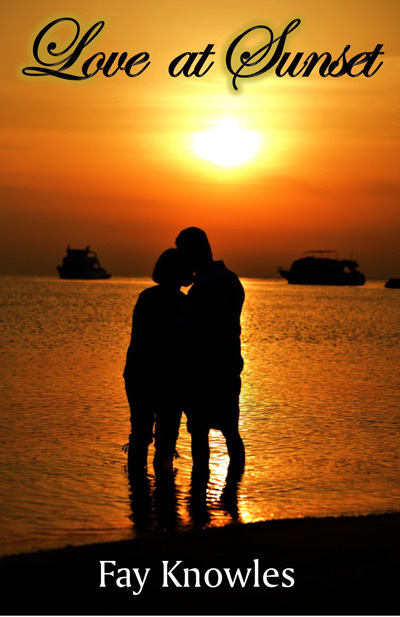 “Love at Sunset” shows the determination of Violet and Gordon, a feisty older couple in love for the second time around, to enjoy their autumn years to the fullest. Faced with fierce opposition from their children and possible payback from an armed robber, they flee The Bahamas for a loch side cottage in Scotland. But trouble soon catches up with them. The plot follows the people in the couple’s lives - those who support them, others who wish to resist or harm them, and some on whom Cupid also comes calling. It portrays family discord and evil intent, but is not without a touch of humour. And it reveals the gap between rich and poor and the humanitarian works of those who care. The novel grew out of my short story “Love at Sunset”, first published in “The Lady” magazine, London, England, and which later appeared in my book “Sunbeams from the Heart – A Collection of Twelve Romantic Short Stories”. Here, by popular demand, is the full story of Violet and Gordon and their undying love for each other, despite all odds!